This week we are presenting our data on the use of fibroscanning (a non invasive method of assessing scarring in the liver) at the regional annual conference for the British Society of Gastroenterology. The technique is not universally available throughout the UK but thanks to a charitable grant from the Friends of Brighton the liver team at Brighton and Sussex University Hospitals were able to purchase the equipment and are now able to publish their data on its use in the first 12 months. 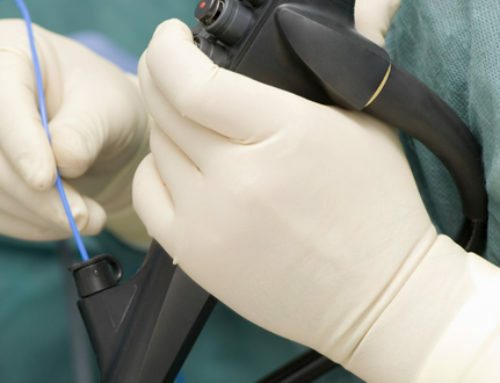 The technique involves placing a probe over the liver (similar to an ultrasound) which then assesses the elasticity of the liver. A scarred liver due to any cause will be less elastic than a normal liver. Historically the only way of assessing for scar tissue in the liver was to undertake a biopsy which is an invasive test requiring passing a needle into the liver which can be uncomfortable and is associated with a small risk of bleeding. 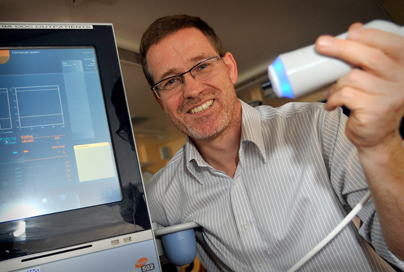 Our team at BSUH have compared both techniques in order to validate the fibroscan test. This has shown an excellent correlation between biopsy and fibroscan in a large cohort of patients with different causes for their underlying liver disease, including those with viral hepatitis, alcohol related liver disease and scar tissue caused by an excess of fat within the liver. In addition the fibroscan test is able to demonstrate an excess of fat within the liver, which also correlates with that seen at the time of biopsy. Liver damage due to fat excess in the liver (steatosis) is an increasing problem in the UK and is the most common cause of abnormal liver blood tests. Not all patients, however, will develop scarring of the liver and it is likely that the fibroscan test will enable differentiation between those patients with significant liver damage who require regular follow up with a liver specialist and those who can be monitored by their GP.